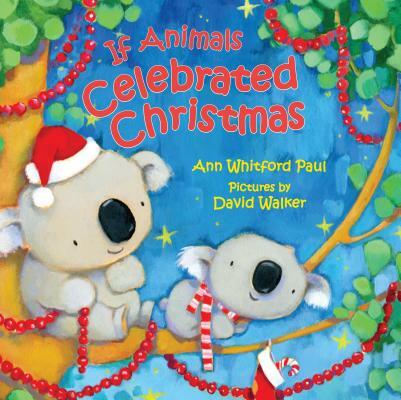 In the same vein as IF ANIMALS KISSED GOOD NIGHT, this new picture book from Ann Whitford Paul and David Walker explores how different members of the animal kingdom might spend the Christmas season. If animals said Merry Christmas like we do . . .how would they say it? Tortoise would hiss a holiday wish. Crane would croon joyful carols, and Mama and Papa Buffalo would kiss beneath the mistletoe. Aross the animal kingdom, every creature would celebrate this magical season. If Animals Celebrated Christmas is sure to be a holiday favorite! ANN WHITFORD PAUL is the author of numerous books for children, including the best-selling If Animals Kissed Goodnight, illustrated by David Walker. She and Walker also collaborated on Little Monkey Says Good Night, a Bank Street Best Children’s Book of the Year, which Kirkus Reviews praised as “a perfect good-night read.” Ms. Paul lives in Los Angeles, California. David Walker has illustrated many books for children, including Victoria Adler’s Baby, Come Away and Ann Whitford Paul’s Little Monkey Says Good Night and If Animals Kissed Good Night. He lives in Chapel Hill, North Carolina.